Click to download page as PDF file. This incredibly diverse region along the magnicent Columbia River is home to more than 85,000 people. Located just east of Portland, Oregon and Vancouver, Washington, it stretches for over 100 miles. 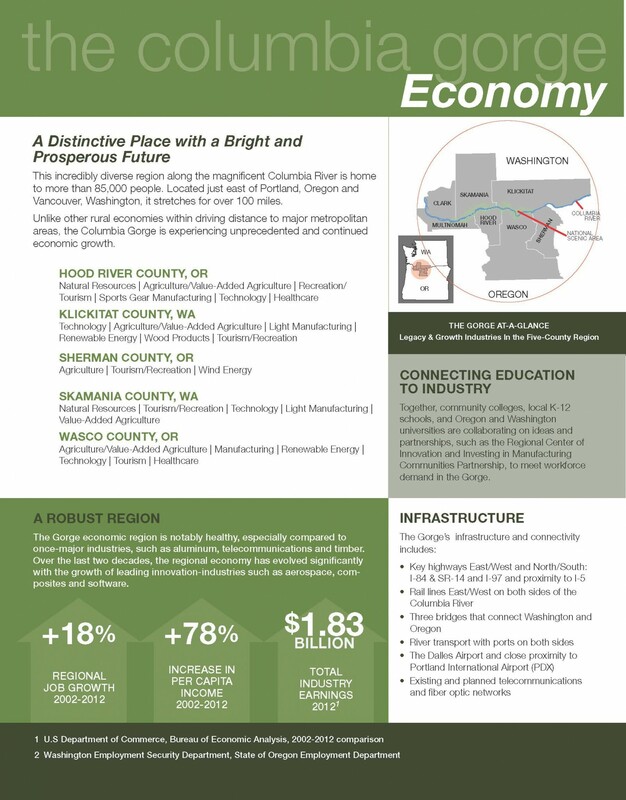 Unlike other rural economies within driving distance to major metropolitan areas, the Columbia Gorge is experiencing unprecedented and continued economic growth. THERE IS MORE POTENTIAL FOR ECONOMIC GROWTH IN RURAL AMERICA THAN AT ANY TIME IN DECADES. Together, community colleges, local K-12 schools, and Oregon and Washington universities are collaborating on ideas and partnerships, such as the Regional Center of Innovation and Investing in Manufacturing Communities Partnership, to meet workforce demand in the Gorge. 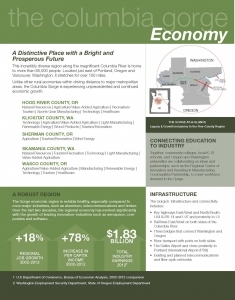 The Gorge economic region is notably healthy, especially compared to once-major industries, such as aluminum, telecommunications and timber. Over the last two decades, the regional economy has evolved signicantly with the growth of leading innovation-industries such as aerospace, composites and software. 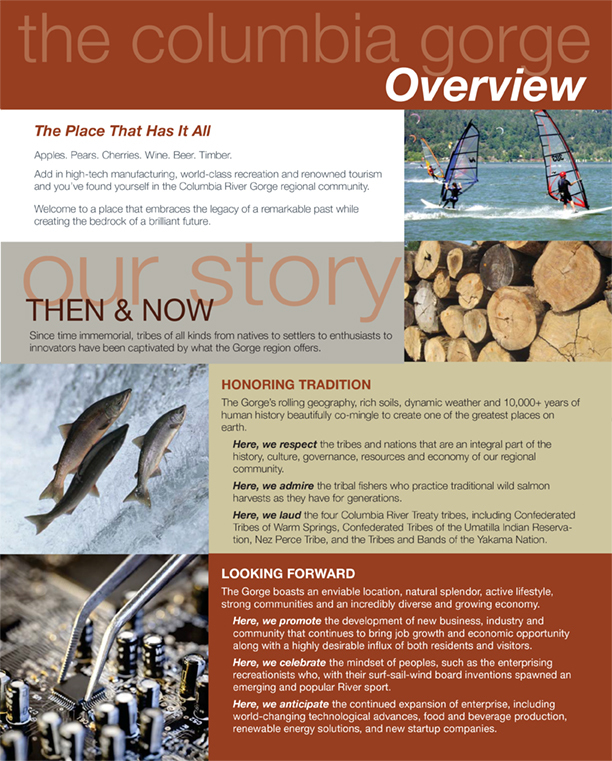 Although the ve main Washington and Oregon counties that comprise the Columbia River Gorge share some geographic and natural resources, each is unique in its own right. Their similarities deliver on a highly desirable “live-work-play” community promise, while their differences promote sustainable economic diversication.